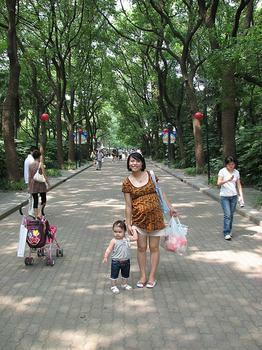 It is a park like most others except it also has a mini-amusement park and aquarium within. It is a park like most others except it also has a mini-amusement park and aquarium within. Worth a visit if you are staying nearby as it is less crowded than Zhongshan or Century Parks.